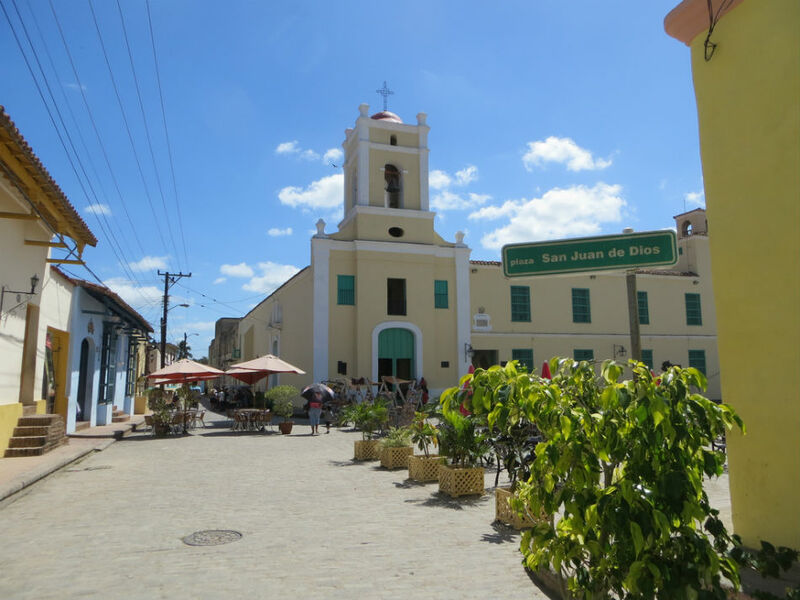 The ample Plaza San Juan de Dios Square is one of the most emblematic corners in the city of Camagüey where the Museo San Juan de Dios (San Juan de Dios Museum) is placed, and the only square in which the former pattern and buildings. The colonial architectural complex dates back to the 18th century. Its name comes from the former Convento-Hospital San Juan de Dios Convent that was settled in the same place. On the east side of the square, you can find the San Juan de Dios Museum. 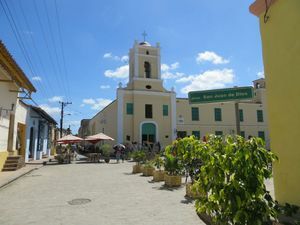 This museum is located in the former hospital that was managed by Father José Olallo, who became later the first saint in Cuba. In 1902, it became in a pedagogy faculty, refuge during a cyclone in 1932 and the Provincial Heritage Center, which restored the monuments of the city. The museum houses objects of the history of Camagüey and some paintings of the locality. Hurtado with Paco Recio street, Camagüey, Cuba. Tuesday through Saturday 9h00 am to 5h00 pm. Sunday 9h00 am to 1h00 pm.